Towards 2014’s end, it was estimated that around 60 percent of online activity is done through mobile devices. It has been estimated that by 2017, around 2.9 billion smartphones shall be sold across the globe. The share of mobile browsing shall at least rise to 65 percent, some even claiming it would increase to 70 percent. Only a fool would deny or suspect the changes brought about by mobiles and shall continue to bring in. A revolution is happening all over the world and the ones who can change the quickest shall be rewarded heavily with the online marketing landscape. 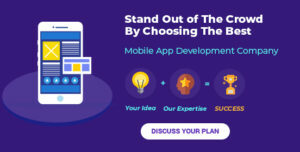 Mobile app development shall benefit business owners and marketer’s alike following from titbits which reflect the change brought in to multichannel marketing. • Almost 87 percent adult Americans use the internet. More than half of them are expected to own a wireless device, if not two by the end of 2015. Despite the growing popularity of the mobile web, shopping through mobile devices is much lower than desktops. However, consumers are increasingly exhibiting multiscreen behavior when it comes to buying decisions. Therefore, conversions might not happen on mobile gadgets ultimately, although they play an important role in terms of comparison and research of every buying cycle. Most entrepreneurs ponder over the ways they can leverage the mobile web for growing their business. However, there is no magic pill for it. Pioneering marketers experiment regularly to find out techniques and models which would facilitate more consumer behavior on their handsets. Between 2007 and 2010, social media marketing was in the nascent stage for mobile apps development. Pioneers have to try and find out how to hit upon the best strategies. Currently, apps are the fastest and best way for influencing target audiences through mobile devices. They occupy permanent space on the home screen of smartphones and give them a mind-boggling advantage over mobile sites. Mobile web development allows apps to access your private information based on social networking accounts you are logged in with through the device. This allows the device better target-based advertising as it can reach your tendencies, needs, and interests. Alongside ads, for mobile web development, search engine optimization services have been important. It has been around for almost twenty years and as the internet changes and becomes more mobile friendly, emphasis on sites shall diminish and apps would grow. Apps too would include SEO bits to them. Several apps have already started embedding keywords in their algorithms in order to make them more search friendly. Mobile web is not the future of the internet. It is, in fact, the present. Rather than worrying about the changes happening around us, we should take on the better attitude of embracing it. To leverage mobile web development, any developer must think of out of the box ways of using it to take businesses forward. 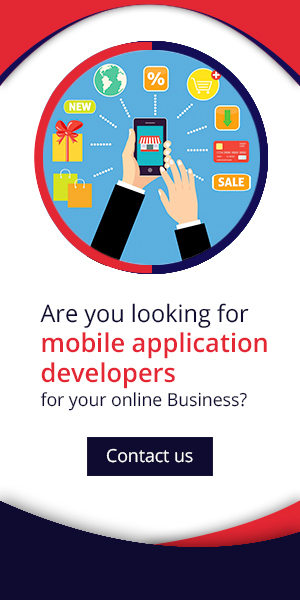 To know more about mobile development then contact us at WDIPL.